History Of DASH: Digital Cash - The First Year: DarkCoin! The year was 2014 and the day was 18th January when web developer Evan Duffield released the code that would change the world! DASH, before being known as DASH was actually called ‘XCoin’ however it was renamed shortly after to Darkcoin. 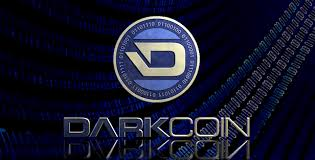 Darkcoin was different to the rest right from the very beginning, Evan Duffield not only created a new coin but he also created a new hashing algorithm that separated Darkcoin from the two biggest algorithms, SHA-256 (Bitcoin) and Scrypt (Litecoin). This new algorithm was ‘X11’and it not only ensured Darkcoin would remain ASIC-proof for a long time but it also meant greatly reduced heat and power consumption for miners across the globe. 20th February 2014 - DarkSend Alpha (Now called PrivateSend) made available for testing. The first chance the Darkcoin community was able to see first hand this amazing new anonymizing technology. 20th June 2014 – The RC3 Hardfork was released which enabled the first payments to Masternode servers. Shortly after however, problems were found with the code which resulting in some unexpected forking of the Darkcoin network. September 2014 - By this stage, Darkcoin had gained the attention of crypto coin enthusiasts all over the world. Kristov Atlas, one of the leading Bitcoin security and privacy researchers and writers, decided to review the Darkcoin code. He assisted Evan and the Darkcoin development team by finding some minor security vulnerabilities which Evan immediately addressed making the Darkcoin network even stronger. Shortly after the Darkcoin code was officially made open source. A major milestone in Darkcoin’s history to date. 5th October 2014 – Payments to Masternodes were made mandatory, meaning all Darkcoin pool operators would need to give a percentage of mined Darkcoins to the Masternode operators to ensure a strong and secure network. 8th October 2014 – An attack on the Darkcoin network allowed a hacker to gain brief control of the Masternode list. Evan immediately addressed the issue by releasing a patch which corrected the simple exploit. Darkcoin’s first year has been an exciting journey, with a bigger and better development team and supportive community; there is no telling what Darkcoin will achieve by its 2nd Birthday. That draws us to the end of the first year in DASH's history. From small things, big things grow. For a closer look at DASH's second year, please follow me and check back soon. Hi Cheetah the Robot, thank you. I actually wrote that piece for DASH back in 2015! I used to do some writing for DASH (or Darkcoin back then). I stopped but am starting to write again now. interesting saga, look forward to learning more. Thanks for the the dash btw! Hi, bitcoinforchumps! I just resteemed your post!